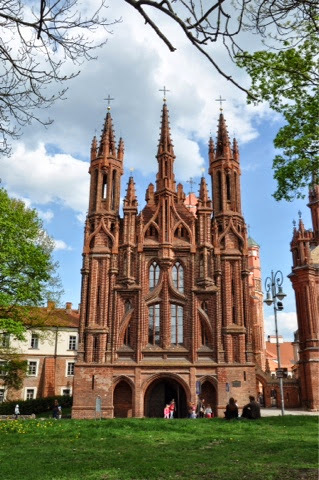 During our recent trip to Lithuania I discovered that Vilnius has more churches than Thailand has Buddas (… not really). The beauty of these churches was truly impressive. Their sheer opulence, along with the unmistakable Russian accent that you hear everywhere, made me think of this classic commercial from a few years ago. 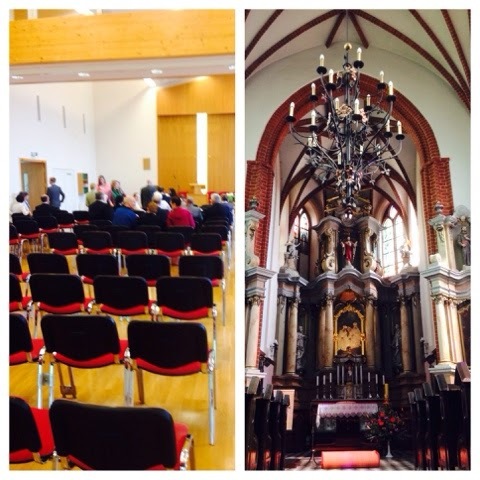 Let's face it, there is a noticeable contrast between the interior of the LDS chapel in Vilnius with the interior of even a second-rate Lithuanian church. To compare our little chapel with something like St Anne's Church wasn’t even close. But what our chapel lacked in opulence, we had in spirit. You can keep the gold-encrusted religious icons, the candles, the works of art and the elaborate altarpieces. I'll stick with the feeling I got while hearing a Lithuanian Branch President with a strong Russian accent testify of the truthfulness of the restored gospel. So when it comes to real opulence, I can confidently say: we has it. Image credits: Reid (used with permission).